Searching for the greener solution to old problems has become the forefront of many environmental arguments. All Hamilton residents want to make sure they’re doing the right thing to help this earth last a little long. Cellulose insulation is a greener solution for your home. Environmentally speaking it’s the best option because it’s made mostly of recycled newspaper and cardboard. It’s composed of 75-85% recycled paper fiber and the other 15% is a fire retardant. In its dry and loose fill form it’s used in retrofitting old homes. It’s also used to fill new walls by using retainers or netting that’s removed once the cellulose reaches an appropriate density. In its wet form cellulose is sprayed without the use of the retainer. It requires time to dry, but it offers a better seal. Here are six benefits of choosing cellulose insulation. Cellulose is made of recycled materials. It depletes the giant piles of newspaper thrown away every day. This helps reduce our carbon footprint. The R-value of cellulose is better than most other insulations. R-value is the amount of an insulating material needed to keep hot or cool air. The higher the better. It’s better for your health. Cellulose does not contain any fiberglass like other common insulations. Fiberglass has the risk of cancer, irritation and rash. There are less risk of fires, mold and insects. Cellulose is treated with boric acid that works to repel dangers and pests. Hamilton’s Skedaddle Humane Wildlife Control uses cellulose when replacing old insulation damaged by raccoons, squirrels, mice or other rodents. 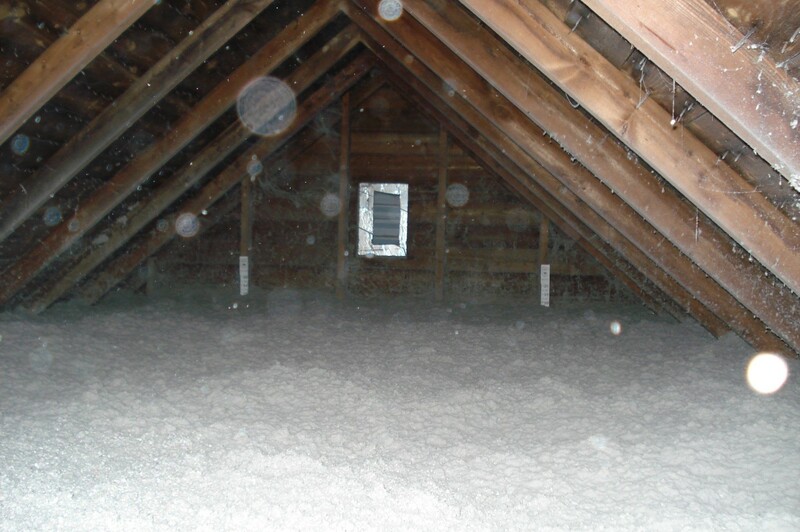 When animals are allowed to live inside your attic they can cause tremendous amounts of damage to your insulation. Energy loss from mouse tunneling in attic insulation. The purple sections are allowing cool air from the living space below to enter the attic. 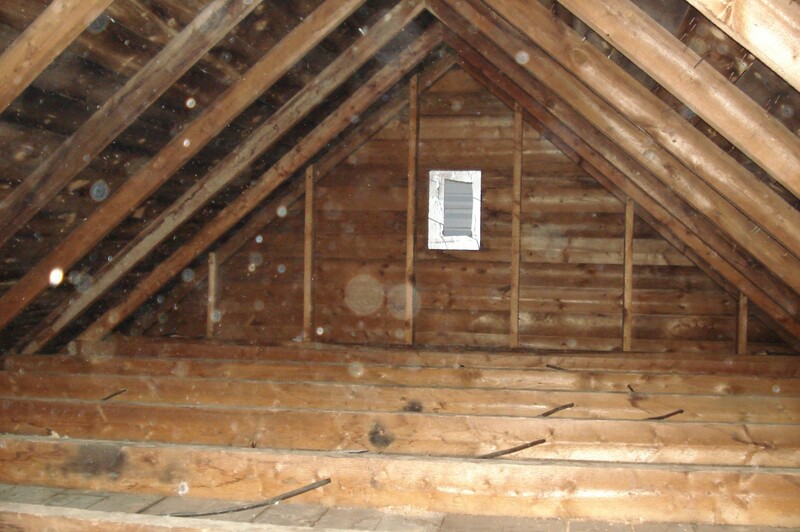 When you hire a professional wildlife removal service be sure to inquire about any damage to your attic’s insulation. 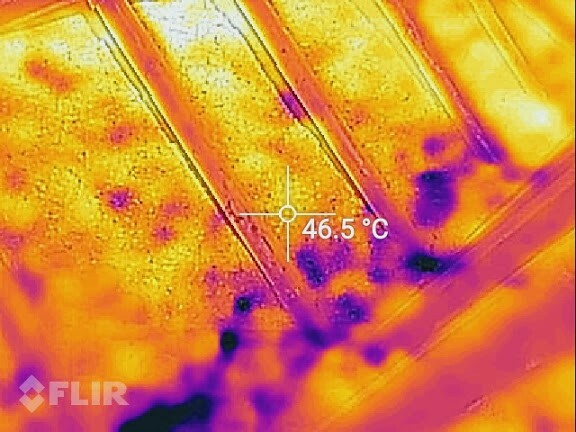 Skedaddle Humane Wildlife Control technicians us infrared technology to identify areas of heat loss inside your attic cause by wildlife. We can then remove damaged and soiled insulation and replace it with energy saving cellulose. Do bats live in groups in Hamilton?